The university originally opened its medical school in 1843, providing instruction in medicine and medical sciences. In 1853, it suspended the school's teaching program and transferred teaching duties to the city's three proprietary schools: Trinity Medical College, the Toronto School of Medicine and Woman's Medical College. Because proprietary schools could not grant degrees, the university's medical school retained the responsibility of holding examinations and conferring medical degrees. As the university kept raising its standards, the medical examinations became increasingly rigorous and scientific. This led to fewer medical students from proprietary schools deciding to obtain university degrees, which were not required for medical practice at the time. Recruitment ad from 1906, showing course fees, subjects and other information. In 1887, the university resumed medical teaching in its Faculty of Medicine. The faculty promptly absorbed the Toronto School of Medicine, which could no longer compete with the university as it faced heavy costs of scientific work and higher examination standards set by the faculty. The Faculty, in partnership with the University of Toronto Mississauga and Trillium Health Partners opened the Mississauga Academy of Medicine in August 2011 with 54 first-year students. As of 2014, the Academy has a total of 216 students enrolled in the four-year program. The new facility is located across two floors inside the new Terrence Donnelly Health Sciences Complex and provides brand new classrooms, seminar rooms, computer facilities, learning spaces and laboratories. Students are provided with fully equipped student lounge and outdoor terrace to relax and socialize. Students are able to share lectures and learning experiences both inside and outside the classroom through advanced technologies. The McMurrich Building contains offices of medical faculty members and researchers. In 2016, the Faculty of Medicine will be implementing the new Foundations Curriculum, moving away from the traditional lecture based style of teaching based on anatomy, physiology, pathology and pharmacology and into a problem based learning approach with early clinical exposure, similar to the approach first pioneered at McMaster University Medical School. The Doctor of Medicine program at the University of Toronto has a total enrolment of about 850 students. In 2015, the average accepted undergraduate GPA was 3.96 (on the Ontario Medical Schools Application Service 4.0 scale) and the median score in the numerically graded sections of the MCAT was 11. The University of Toronto is one of only a few programs in Canada to accept international students through its regular admission process, and not only through contract with foreign governments. The faculty also offers the M.D./PhD degree jointly with University of Toronto doctoral programs, in addition to other degrees of master of science, master of public health, master of health science, doctor of philosophy, and post-doctoral fellowships. The program for the Doctor of Medicine degree spans four years. The first two years are known as the preclerkship curriculum, during which M.D. candidates acquire the basic biomedical and human anatomy knowledge. The principles of medical ethics, professionalism and medical jurisprudence are also taught in preclerkship. The final two years form the clerkship curriculum that takes place in hospitals and ambulatory clinics. The core clerkship rotations cover the essential medical specialties: surgery and internal medicine, psychiatry, paediatrics, obstetrics and gynecology, family medicine, ambulatory experience, neurology, emergency medicine, anesthesia, ophthalmology, otolaryngology and dermatology. Additional rotations are devoted to elective clerkships that provide training in subdisciplines within the major specialties. The Faculty of Medicine is the only medical school in the Greater Toronto Area and operates a health network that comprises twelve teaching hospitals with significant emphasis on tertiary care, including medical treatment, research and advisory services to patients and clients from Canada and abroad. The faculty is associated with two level 1 adult trauma centres, a multi-organ transplant hospital, a pediatric hospital, a psychiatric hospital, a geriatric hospital, four rehabilitation institutes and several general hospitals. There are three hospital networks, which are the University Health Network, Our Shared Purpose and the Sinai Health System, as well as two major teaching hospitals outside of the system, Sunnybrook Health Sciences Centre and Mount Sinai Hospital. The University Health Network consists of three specialized hospitals: Toronto General Hospital for cardiology and organ transplants; Princess Margaret Cancer Centre for oncology as the home of the Ontario Cancer Institute; and Toronto Western Hospital for neuroscience and musculoskeletal health. Unity Health Toronto consists of St Michael's Hospital, an adult hospital and trauma center, Providence Healthcare, a rehabilitation institute and St. Joseph's Health Centre, a community teaching hospital. Sinai Health System consists of Mount Sinai Hospital, a general hospital and Bridgepoint Active Healthcare, a rehabilitation institute. The Hospital for Sick Children is the pediatric medical centre specializing in treatments for childhood diseases and injuries. Rotations may also involve community teaching hospitals, which include North York General Hospital, St. Joseph's Health Centre, Toronto East General Hospital, The Scarborough Hospital, Credit Valley Hospital and Markham Stouffville Hospital. In 2005, the Terrence Donnelly Centre for Cellular and Biomolecular Research opened a new research facility consisted of approximately 20,550 gross square metres [gsm] / 221,120 square feet laboratory and teaching facilities on 10 open concept floors. Located on the U of T campus at 160 College St. W., it was designed and constructed between 2001 and 2005 by the German firm Behnisch Architekten and architectsAlliance of Toronto with their main goal focusing on collaborative ethics and sustainable design. The site is a rectangular elongating from south to north and it is surrounded by historical buildings from its south east and west. The site was formerly used as parking lot, service area and pathway to the medical building. The facility houses about 400 diverse research specialists, including molecular and developmental biologists, geneticists, computer scientists, chemists and bioengineers. It cost approximately $105 million, a large portion of the which were donated by philanthropist and lawyer, Terrence Donnelly. Other funding sources include the Canada Foundation for Innovation, Government of Ontario, Ontario Innovation Trust, University Infrastructure Investment Fund I’Anson Fund and private donations from University of Toronto alumni. The Terrence Donnelly Centre for Cellular and Bimolecular Research facility received the 2006 Royal Institute of British Architects (RIBA) International Award and the 2006 Ontario Association of Architects Award of Excellence. Despite the supposed focus on sustainability, and the claims of energy performance, the building consumes about 650 kWh/m2/yr (twice the average modern office building). The CCBR rises above the neighboring buildings where aluminum and glass work together to create a glass tower which is standing on a concrete ground plane. The building is mainly a research facility with no lecture rooms. It is divided into two programmatic spaces. First is the public space located in the ground plane, and the second is the research facility. Three winter gardens are places in different levels across the building giving the researchers fresh air and nice space to work in. Unlike usual structure, each façade of the CCBR tells a different story. The south façade is a high performance curtain wall with double glazing separated by 800mm. This façade integrates a high-tech louver system, which together with the glazings, work to maximize daylight, minimize heat gain/ loss, control glare, maximize natural ventilation and control wind. As noted above, the building uses a very high amount of energy despite any design intentions to the contrary. On the east façade colorful glazing are taking place in a sequence of the DNA bar code. Also, in the west façade when looked from distance the patterned ceramic glass represents the double stranded helix of the DNA molecule. Finally, with the use of social spaces, technology and sustainability the CCBR raises the standards of laboratories environment worldwide. MaRS Discovery District is an affiliated corporation that was established to help commercialize the faculty's life science and medical research through partnerships with private enterprises. Robert Gordon Bell, class of 1943: Pioneered treatment of alcohol addiction in Canada and invented the alco-dial, a device to estimate blood alcohol levels. C. Miller Fisher, described lacunar strokes and identified transient ischemic attacks as stroke precursors. ^ "Mississauga Academy of Medicine". University of Toronto Mississauga. Retrieved March 27, 2012. ^ a b "Mississauga Academy of Medicine". University of Toronto. Archived from the original on March 28, 2012. Retrieved March 27, 2012. ^ "Frequently Asked Questions". University of Toronto Faculty of Medicine. University of Toronto. Archived from the original on October 18, 2015. Retrieved January 17, 2016. ^ "Admission Statistics". University of Toronto Faculty of Medicine. 2009. ^ "BioDiscovery Toronto – Hospital for Sick Children". BioDiscovery Toronto. 2006. Archived from the original on May 13, 2006. Retrieved November 30, 2008. ^ Jen, Leslie. "Genetic Complement: Terrence Donnelly Centre for Cellular and Biomolecular Research, Toronto, Ontario: Architects Alliance and Behnisch, Behnisch & Partner." Canadian architect 51.1 (2006): 28–33. Michael Bliss. 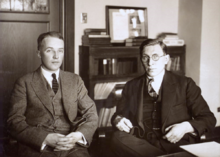 The Discovery of Insulin. University of Chicago Press, 1982. Michael Bliss. Banting: A Biography. University of Toronto Press, 1992. Marianne Fedunkiw. Rockefeller Foundation Funding and Medical Education in Toronto, Montreal, and Halifax. McGill-Queen's University Press, 2007. Ernest McCulloch. The Ontario Cancer Institute: Successes and Reverses at Sherbourne Street. McGill-Queen's University Press, 2003.